Join the Harvard Chapter of Project Pengyou and come take a study break to celebrate U.S.-China friendship through Board Games, Mahjong, and delicious food! What is National #Pengyou Day? 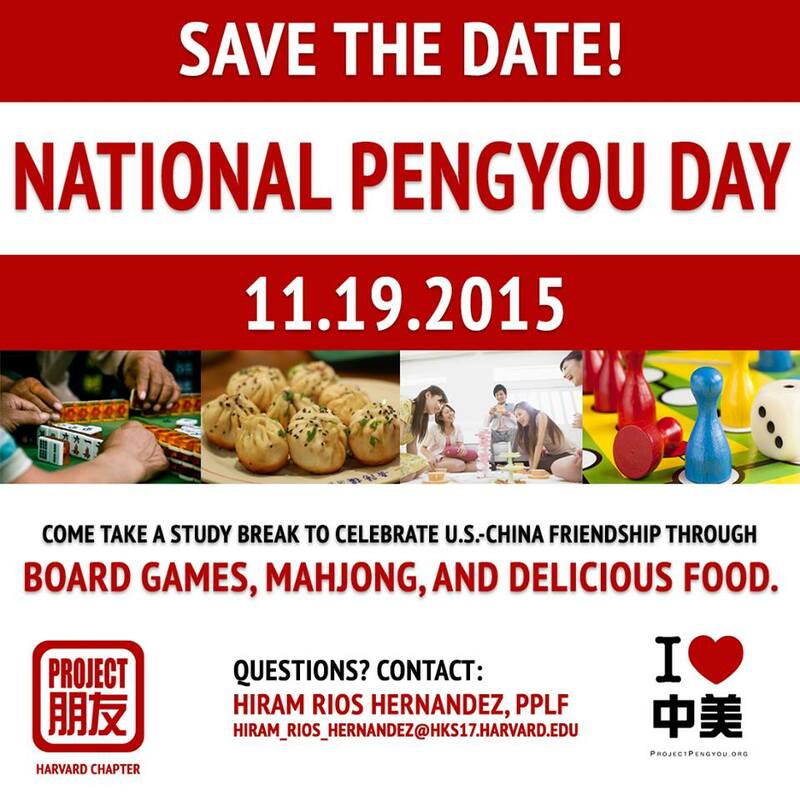 #Pengyou Day is on November 19, 2015. In conjunction with the U.S. State Department’s International Education Week, Project Pengyou Campus Chapters across the country will simultaneously launch events and social media campaigns to celebrate US-China study, engagement, and friendship. The “We are all #Pengyou” campaign seeks to empower students of Chinese to spread their knowledge to other Americans, starting with simple conversations like the teaching of one word in Chinese to a friend. Project Pengyou Leadership Fellows will be mobilizing their campuses on November 19 to lead a movement that promotes US-China study, engagement and friendship, joining in solidarity with thousands of like-minded young leaders across the country. Collectively they form a new generation of active US-China bridge-builders.